Princess Belgioioso, Milan; (sale, Hôtel Drouot, Paris, 19-20 May 1879, no. 7); Gustave Dreyfus [1837-1914], Paris; his heirs; purchased with the entire Dreyfus collection 9 July 1930 by (Duveen Brothers, Inc., London, New York, and Paris); sold 31 January 1944 to the Samuel H. Kress Foundation, New York; gift 1957 to NGA. Lippincott, Kristen. "The Genesis and Significance of the Fifteenth-century Italian Impresa." In Chivalry in the Renaissance. Edited by Sydney Anglo. Woodbridge, UK and Rochester, NY, 1990: 67-68, fig. 8. Pollard, John Graham. 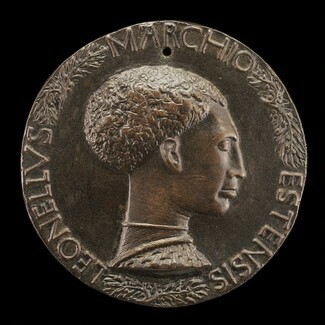 Renaissance Medals The Collections of the National Gallery of Art Systematic Catalogue. 2 vols. Washington, 2007: 1:no. 6, repro. Campbell, Steven J. 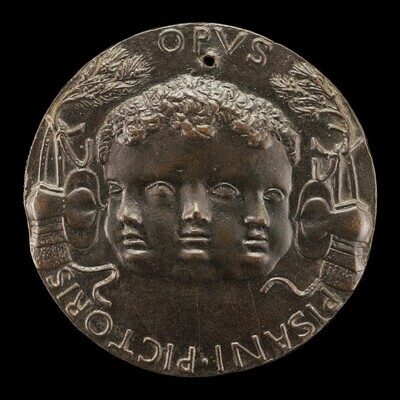 "Review of Renaissance Medals, Vol. 1 Italy (Washington, 2007)." The Art Bulletin 93, no. 1 (March 2011): 107, nt. 3.